Coffee? Espresso? 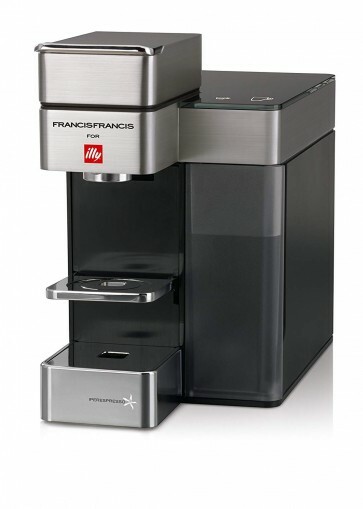 Now you can enjoy both with the innovative Y5 Duo from Francis Francis. 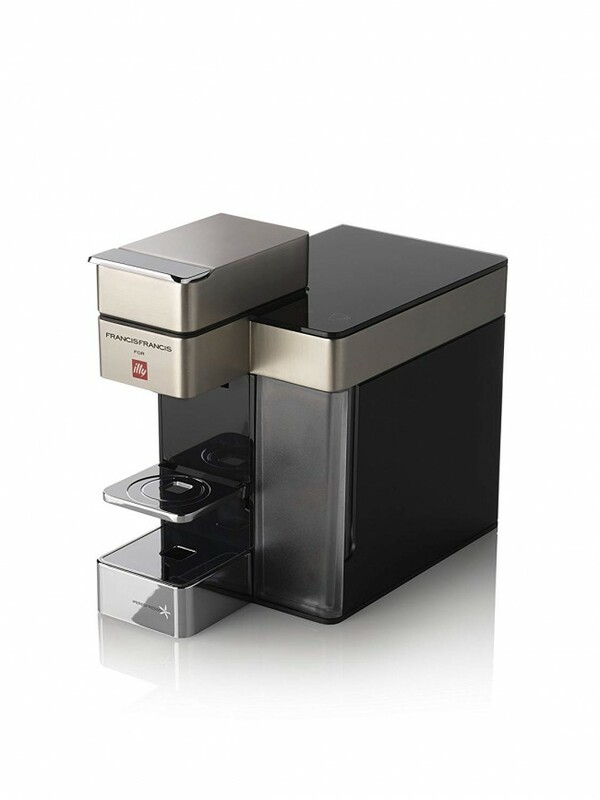 Designed to use both Illy's Iper Espresso and Iper Coffee capsules, the Y5 offers you the flexibility of brewing both espresso and drip style coffee all at the push of a button. This time around, more than just the brewing methods have been updated however. The unique aluminum and tempered glass housing provide a sleek yet sturdy frame that contributes the the machine's more modern appearance. This combined with the convenient front panel controls and the water tank make the Y5 incredibly versatile. For brewing, Illy's proprietary system keeps the ground coffee from ever coming in contact with the machine. To prepare your drink simply insert an Illy Iper Espresso or Iper Coffee capsule, select the type of beverage you want, and brew. The water is forced through by a 19 bar pump and heated by a stainless steel heat exchange system. The drip tray on the front of the machine is height adjustable to accommodate multiple cup sizes. True to its name, the Y5 Duo allows you to brew both espresso and drip coffee using Illy's Iper Espresso and Iper Coffee pods. Savor both full bodied espresso and rich aromatic coffee, expertly prepared by Illy's proprietary brewing technology that never allows the coffee to come in contact with the machine. Abandoning plastic for superior quality housing, the body of the Y5 Duo is primarily composed of aluminum and tempered glass. The result is a sleek and modern looking machine designed for ergonomics and reliability. The side mounted reservoir holds up to 30oz of water while the internal dreg box can hold up to 10 spend capsules before emptying. Measuring at a scant 5.7" W x 11.2" D x 9.6" H the compact Y5 Duo saves on space even in kitchens with limited counter space.